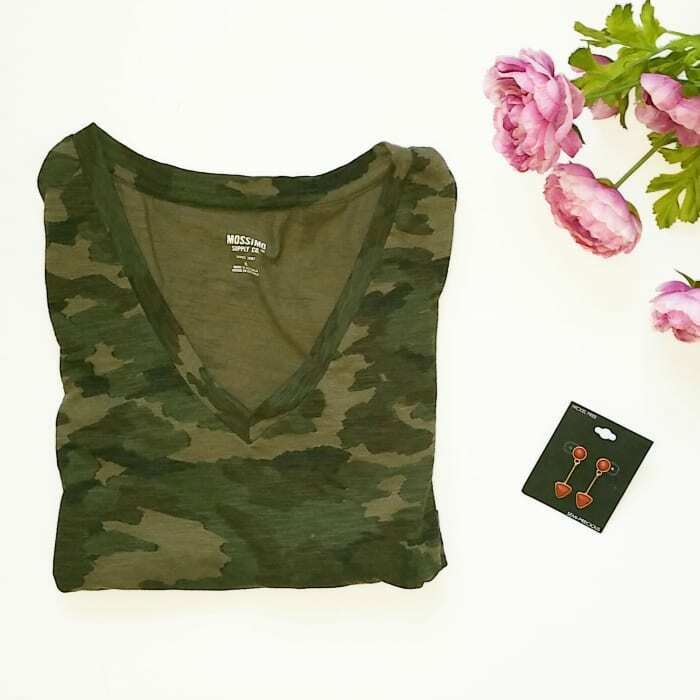 I’ve been looking for a camo tee for a while, so I was excited to find this one for $5! It’s a nice color and print. 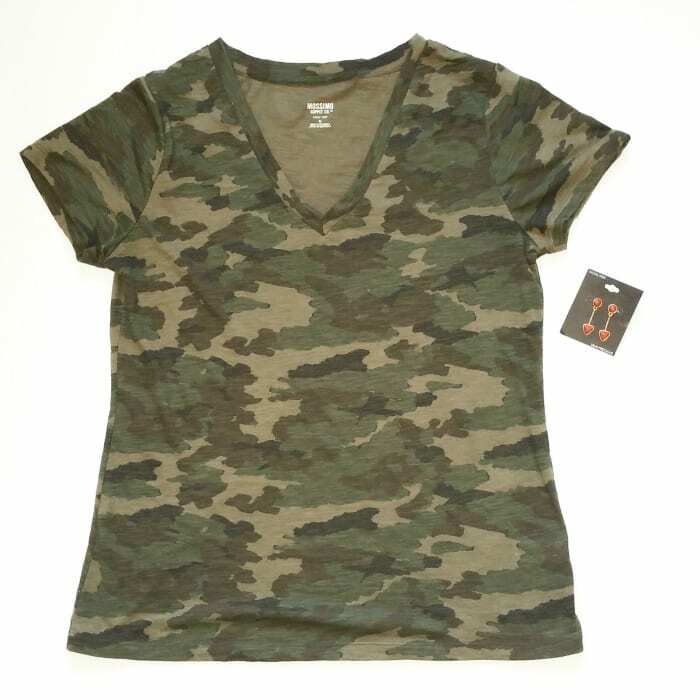 This tee will be a great piece for transitioning to fall. I actually went up 2 sizes in it to get the oversized look that is so in right now. You can also mix it with leopard for a fun fashionista look! It’s no longer on sale for $5, but it’s part of a BOGO 50% off promotion going on now. I just happened to spy these earrings as I was browsing the clearance jewelry. The rust color will be perfect for fall, and the stones are very on-trend. They remind me of Kendra Scott’s recent releases. I can’t wait to wear them with this tee! What have you found for $10 at Target here lately??? It’s always fun to see what everyone else finds too! And don’t forget to enter the latest giveaway HERE!